Coasters move with high speed, so you barely see faces. Can you name all characters you saw a moment ago? Look at the screen and remember everything you see. 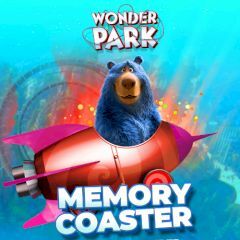 Select three characters from the coaster out of all nine and complete the level. Some of them look identical, so you need to pay attention on detail before clicking on the screen.